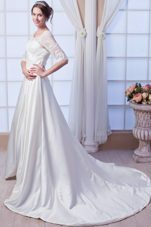 Do you want your wedding dress to be breathtaking? 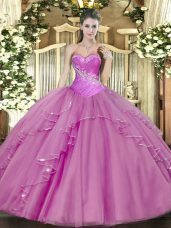 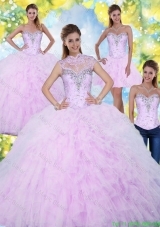 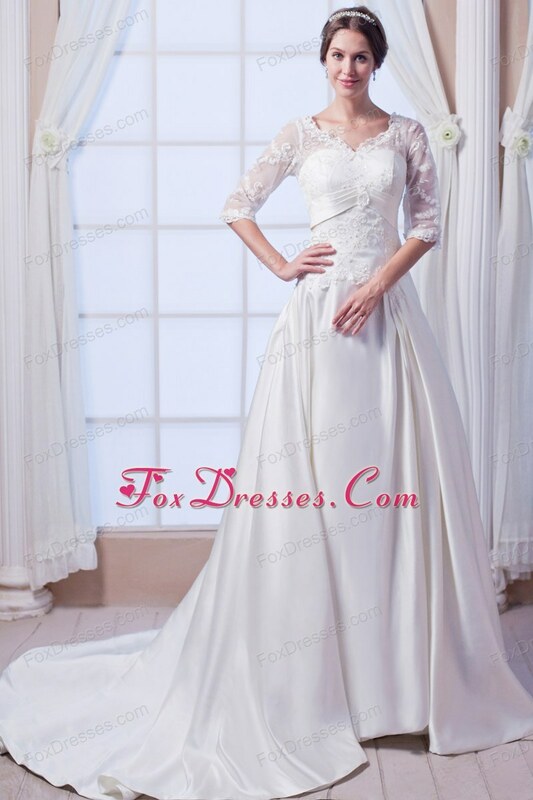 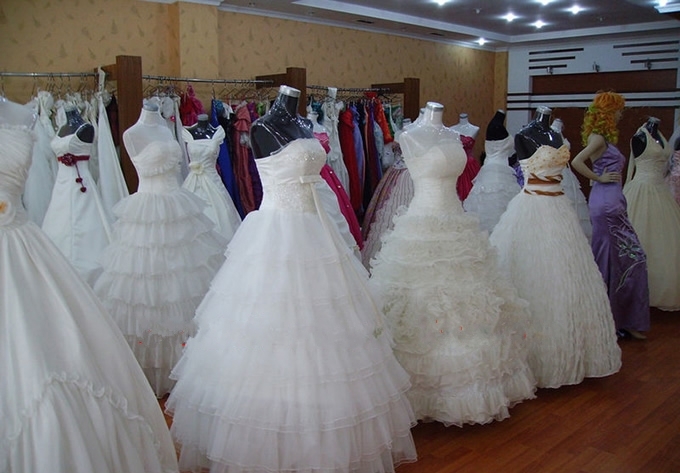 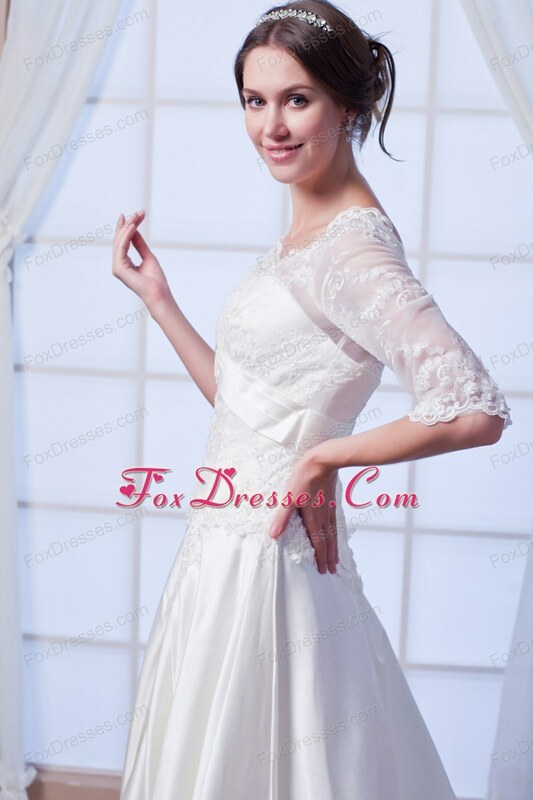 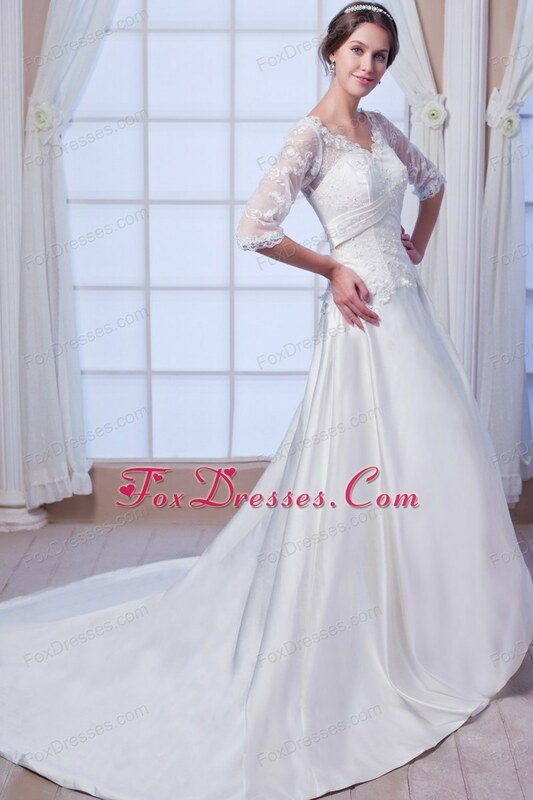 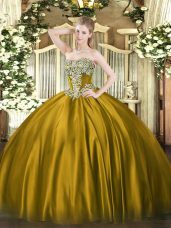 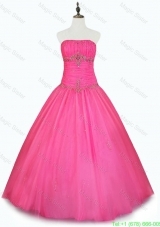 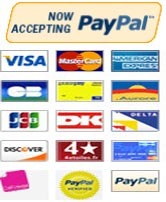 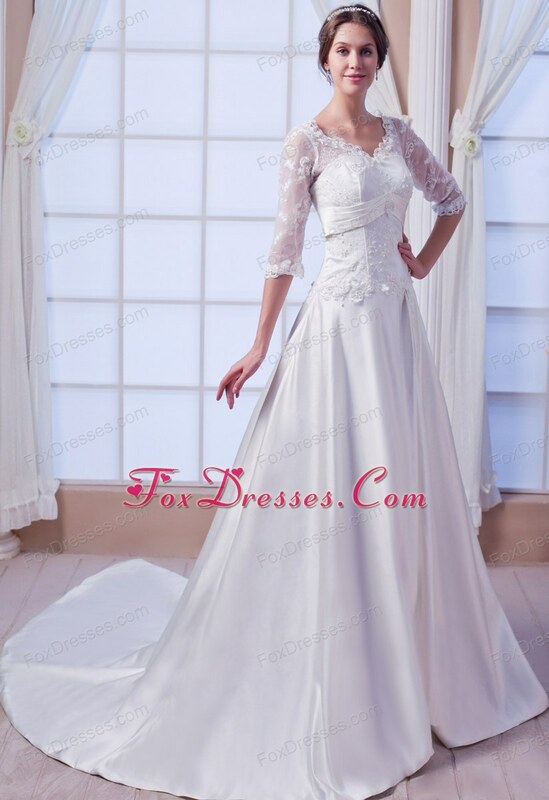 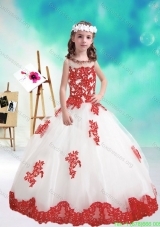 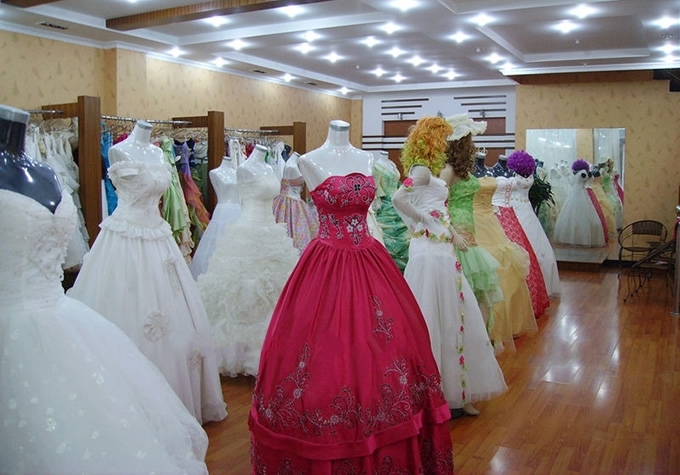 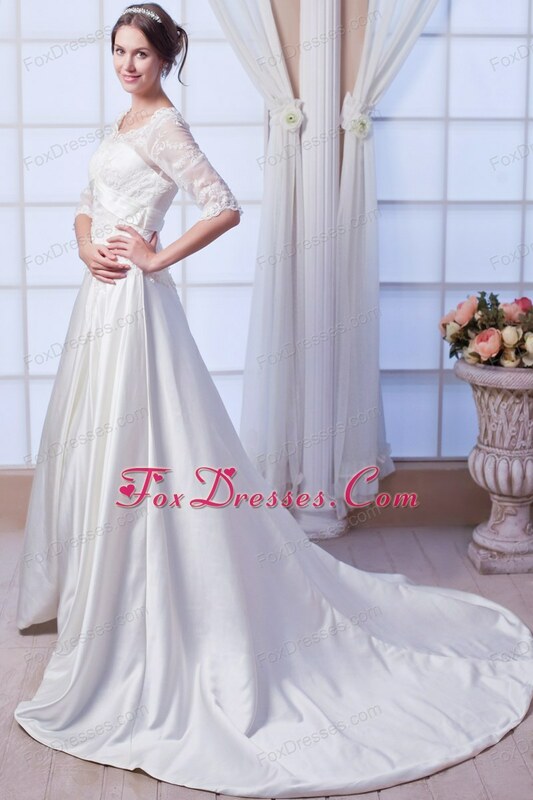 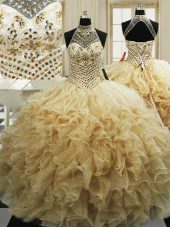 If so, this wedding dress will be your best choice. 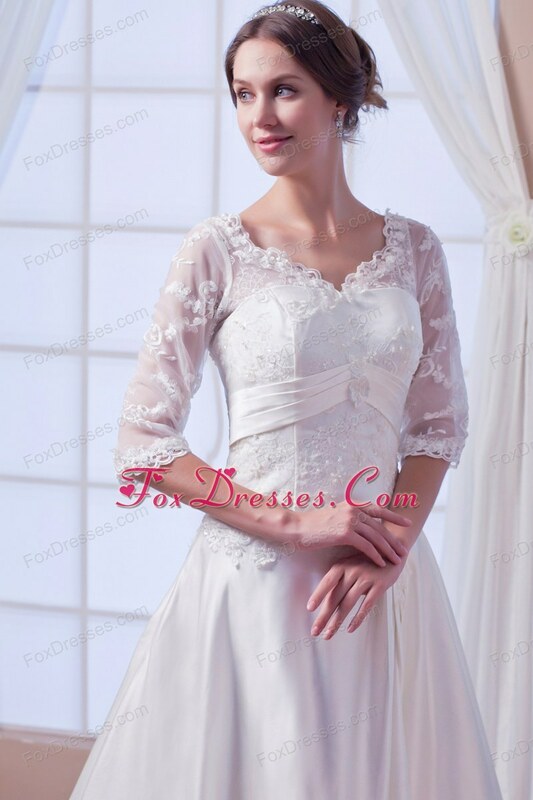 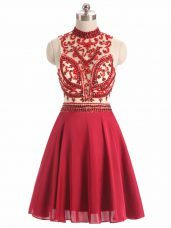 This dress features a v-neckline with two see-through lace half sleeves. 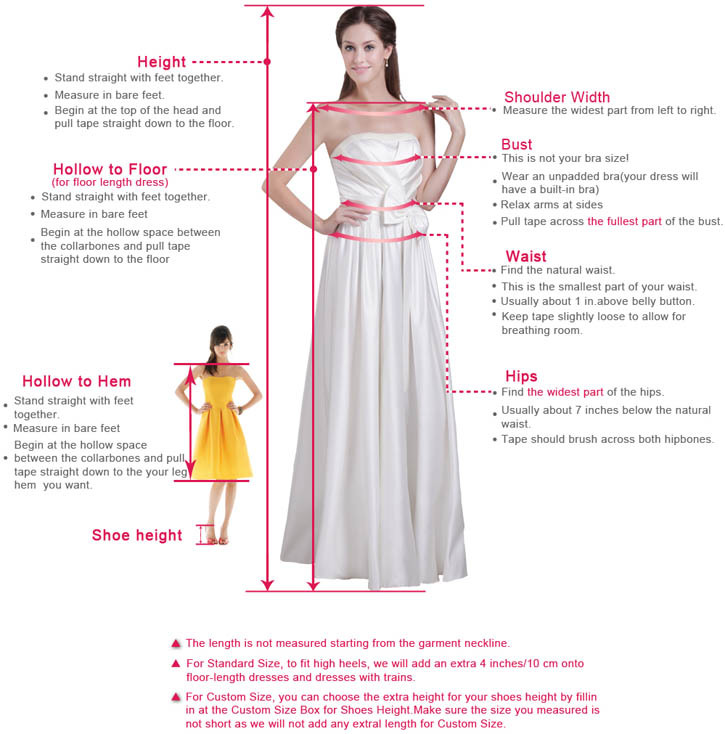 The band under the bust can modify your waistline very well. 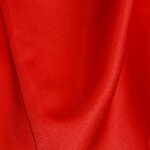 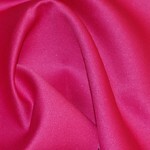 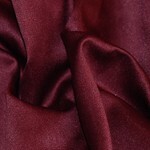 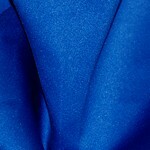 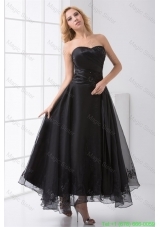 And the ruching on the taffeta skirt is another delicate of the dress. 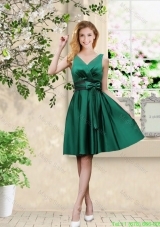 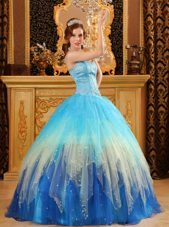 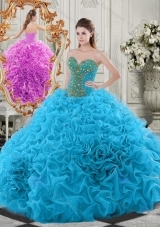 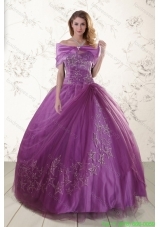 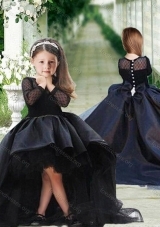 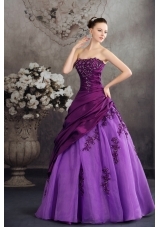 The train makes the dress more formal and modest. 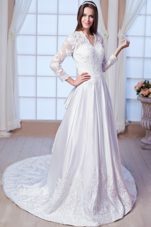 What a gorgeous wedding gown!